You may have heard about two recent additions to the family of Liquitex Professional Acrylic Colors. 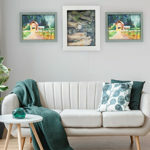 Liquitex is unique in that it is the only international color manufacturer that has designed two new ranges of professional artists’ acrylic colors in the last two years that are not in tubes or jars. Same paints, same pigments-new delivery method for a universal acrylic experience! The “Liquitex System” is designed with one clear goal- to give you the artist, unlimited ways to paint with professional acrylic colors while using one universal color chart for all ranges. In addition, being able to inter-mix all media within the Liquitex System provides true creative freedom. We have heard from instructors, students, professional artists, mural designers and kids. They all love to imagine the all of the possibilities that Liquitex now provides. 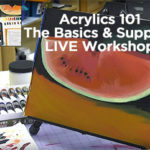 They see the Liquitex System as a new pathway to art creation that provides various paint application tools to put color easily in its proper place. 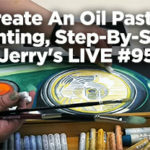 Find the full list of Liquitex Products at Jerrys Artarama. To Learn More About the Complete Liquitex System, Complete Liquitex System! Buy $30 of Professional Spray Paint and receive a FREE Professional Paint Marker (choice of 3 colors) with Special Rebate! In 1955, a small family owned company in Ohio called the Permanent Pigments Company created the first water-based acrylic paint, although until that point manufactured only oil colors. The owner, Henry Levinson searched for a name that would capture the uniqueness of his new product. The new paint could stick to anything and could be used thick, thin or of any consistency, and most importantly, could be altered or cleaned up with water. 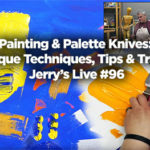 Levinson decided to call the product Liquid Texture and Liquitex was born. Other notable achievements in Liquitex’s history are the development of the first gloss and matte mediums, the first removable acrylic varnish, as well as the first iridescent acrylic paint. Liquitex offers the largest range of materials for acrylic artists including several lines of paints, mediums, brushes and even a new acrylic spray paint. Liquitex still innovates today, always searching for and creating unique ways acrylic artists can express themselves.